I love discovering an old stand-the-test-of-time novel that is sweet and uncomplicated and just pleasant to read. Not very long ago, I read a review praising Good Morning, Miss Dove by Frances Gray Patton. 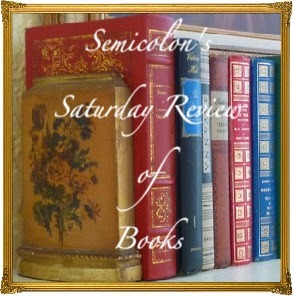 I could have sworn I found the review by jumping through some of the list at Semicolon blog’s Saturday Review of Books, which I highly recommend for book browsing. Unfortunately, I went back to find the link to that review, and for some reason I’m not finding it. So here is mine. The book was written in 1954 and I read a library book with a plain brown cover embossed with the Louisville Free Public Library logo. So there isn’t much in the way of cover art to attract. The story is that of the Terrible Miss Dove, world geography teacher to the elementary school students in the little town of Liberty Hill. This is small-town America like that of Thornton Wilder’s Our Town, where generations grow up and stay, marry amongst themselves, and know each other’s business. For two generations, every child in Liberty Hill has learned geography from and, more importantly, had his or her character molded by Miss Dove. Miss Dove possesses a very strict sense of right and wrong and an innate sense of the proper way to deal with children. They are terrified of her–or maybe the better word is awed. They learn to sit up straight, to speak only after raising their hands, not to chew their hair, to keep their hands folded, not to request drinks from the water fountain, etc.. She runs a regimented, polite classroom. And then, one day, in the middle of class, she feels a sharp pain in her back and her leg goes numb. She has to sit down. A boy is sent for the doctor (one of Miss Dove’s own former students.) She must be carried to the hospital. The nurse is another of her students, as is her fiancé, one of the town’s policemen. The pastor who comes to call is another. The brash young intern who performs the preliminary examination is not, but his mother, now living in another town, was. As Miss Dove waits in the hospital for a series of tests to determine her fate, she relives, through memory, her own life through the encounters she had with the students whose lives she touched and influenced. At last, aware of the critical nature of her diagnosis, she elects to put her fate in the hands of one of those students. He now has the authority over her that she once had over him. She trusts him. "That’s confidential information for the doctors," said Billie Jean. Apologetically she patted Miss Dove’s hand. "Even if I told you, you wouldn’t know what it meant. It’s in centigrade." Miss Dove did not defend herself against the girl’s bland assumption of her ignorance. "My question was indiscreet," she said. "Oh, no! Not indiscreet!" Billie Jean protested. "All patients ask. But you know rules." Times change. But good people will always be good people and they do have the ability to influence the lives of those around them. Although books that point that out can sometimes be schmaltzy, they can also sometimes be sweet and inspiring reminders to look for the good and hope for the best. 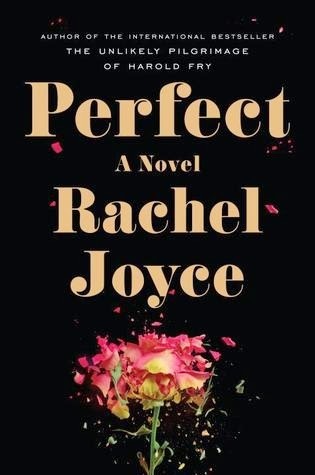 The winner of Perfect by Rachel Joyce (chosen using random.org) is Texas Book Lover. Congratulations! Thank you to all the participants and to Leeswammes' blog for hosting this fun event. I've sent out an email. If I don't hear back by Sunday, I'll choose a new winner. I’ve never read anything by Neil Gaiman before, but I see his name and his books around everywhere and felt that I needed to see for myself why his books are so loved. 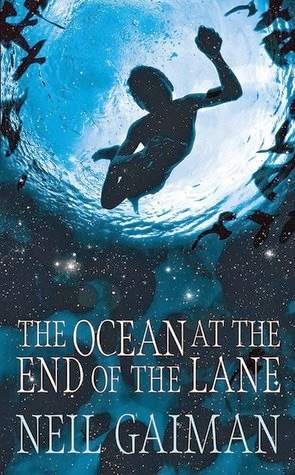 In particular, The Ocean at the End of the Lane has been receiving such positive buzz that I finally got a copy from the library. However, once I held the book in my hands, I was hesitant to start reading. Scary stories can creep me out. I do most of my reading in the evenings, and I didn’t want to read something that would unsettle my sleep. So I saved it for the weekend. The book is short and a very fast read, so I was able to finish it well before my bedtime. And in fact, it would have been all right either way. It wasn’t as creepy as I feared. The narrator returns to the site of his boyhood home in order to attend a funeral. His home has long since been razed, but it isn’t his house that he has come to see. Leaving the other mourners to wait for him, he drives out an old country lane to a farmhouse that he hasn’t seen in many years, the home of a girl he knew when he was seven and she was eleven. The girl is Lettie Hempstead. She lived with her mother, Mrs. Hempstead, and grandmother, Old Mrs. Hempstead. Lettie is no longer at home, but one of the old women greets him. She sends him down to the old pond that Lettie used to call her ocean. He goes to sit awhile and think. While he sits there, he recalls and narrates the strange and terrifying things that happened to him when he was seven. They are otherworldly and worldly and include all the things that would terrify a seven-year-old boy–things that are frightening to grown-ups as well. His world dissolved around him and the only thing left for him to trust was Lettie. It’s a spellbinding story, full of interesting images and nasty creatures that aren’t evil, they just are what they are. It reminded me a tiny bit of some of the stories in Nikolai Gogol’s The Collected Stories. Things that scare us are timeless. 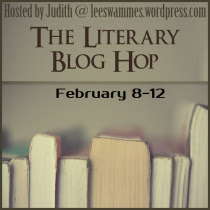 It's time for another Literary Blog Hop. This hop is hosted by Leeswammes' Blog. There are 3 hops per year, and this is the 10th! I've participated before and it's a wonderful way to discover superb books--whether you win anything or not. There are over 40 blogs participating, so hop around to see what each has to offer. Sorry but entries are limited to US and Canada, since I'm shipping a hardback book. To enter: Leave a comment below with your email address so I can contact you if you're a winner. Of course I love followers, but you don't have to be a follower to enter, and to keep this hop simple I'm not adding any extra points for following or tweeting. This contest will close at 12:00 midnight (EST) on February 12th. I'll notify the winner within 48 hours, and the winner will have 48 hours to respond before I choose a new winner. All right, I thinks that's it. Happy Hopping! In some books, voice is everything. Or, if not everything, at least the strength of the voice is what makes the book stand out. 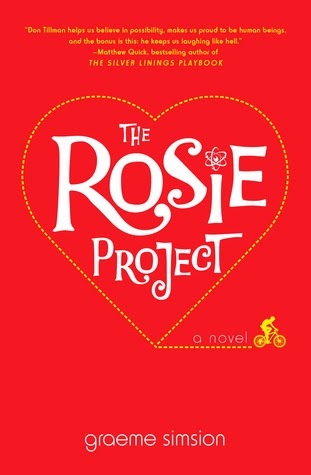 The Rosie Project by Graeme Simsion is that kind of book. It’s a sweet and charming love story, with a cute, fun plot. But what makes this book so particularly endearing is its amusing narrator, Professor Don Tillman. A geneticist with Aspergers (who isn’t aware of it- though, of course, he recognizes that he’s different), Don Tillman has decided that it’s time to find a life partner. Dissatisfied with the dates he’s been on, which have ended more or less disastrously, and efficient in all things, he comes up with "The Wife Project" as a means to eliminate all unsuitable candidates. This will allow him to make the best use of his time and avoid further embarrassing situations. A 16 page questionnaire for potential prospects to fill out is step one. Preliminary results are not promising. However, a woman arrives at his office, sent by a friend (one of his two friends) who is aware of the project, and Don dutifully takes her to dinner, thinking she’s a candidate. It is immediately clear that Rosie Jarman is totally unsuitable. Although he doesn’t have the results of her questionnaire, he can identify numerous answers that she would have gotten wrong. And yet, he enjoys the evening out in a way he cannot explain. Shortly, he learns that Rosie is trying to learn the identity of her father. She has a couple of prospects, but can’t confront them outright. As a genetics researcher, Professor Tillman is in a position to help her out. It isn’t exactly ethical, but they just need to get hold of some DNA from the men in question. Putting "The Wife Project" on a temporary delay, he and Rosie team up on "The Father Project." Thrown together in such an unlikely pursuit, Don and Rosie develop a relationship that is something neither of them expected. This is a delightful romantic comedy. Although the two would appear at first glance to be completely incompatible, this book demonstrates how well opposites can attract. Don Tillman’s comical misreading of emotional situations and Rosie’s empathy bring them through a variety of misunderstandings to the understanding that readers can root for. I am Livia by Phyllis T. Smith was one of my most eagerly anticipated releases of 2014, and I’m thrilled to have gotten hold of an ARC. Many years ago, Phyllis and I were in a writers’ group together. I got a taste of her writing then, and was certain that one day I would hold a book of hers in my hands. Awhile ago, I was a beta reader for a draft of I am Livia , and I’ve been rooting for it to be the one. When I learned it was to be published, I was thrilled. I couldn’t wait to read it. I am Livia whisks us back to Ancient Rome, to the Ides of March (well, just before), when Julius Caesar’s assassination is being plotted. One of the main conspirators is Marcus Livius Drusus Claudianus, father of Livia Drusilla. The plotters need to include Tiberius Nero, one of Caesar’s close allies. In order to gain his cooperation, Marcus Claudianus has promised him Livia. Livia was the eldest daughter of a father with no sons. She was extremely well educated. Her father did not hesitate to discuss politics with her and imbued her with a sense of duty to Rome. Livia was well prepared for the role she had to play. She didn’t want to marry Tiberius but she did her duty, laying the foundation for her eventful life. And so, the assassination takes place. Uproar follows, and the novel does a wonderful job of showing political upheaval through the eyes of a young woman of important status living through it with full comprehension of what is going on. Even more exciting is what follows: Caesar Octavianus’s (Caesar Augustus) revenge. The course of history is changed. Livia meets the young man under innocuous circumstances at first. She watches his early political career. They think alike and are able to understand one another where others don’t. It’s a potentially dangerous affinity. Livia is both attracted and repelled. They are on opposite sides of the political spectrum and she knows that her father would hate everything he stands for. I won’t summarize anymore of the book, because the unfolding of the history and the progression of the relationship is so intertwined and so fascinating. Livia has gotten a bad reputation in popular imagination (both in her own time and down through history) because she was an openly influential woman in a time when women were supposed to remain hidden in the shadows. The rumors of her misdeeds and her actual undeniable straying from the conventional paths of virtuous Roman matronhood are addressed in the pages of this first-person novel in Livia’s "own" words. 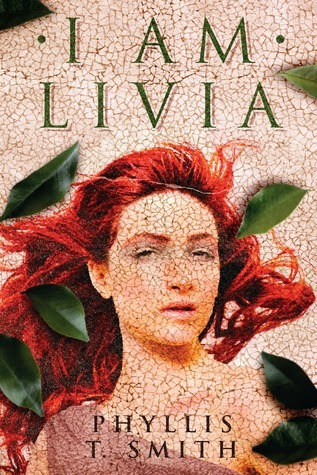 In this remarkable recounting of her own life, Livia comes alive. She maneuvers through earth-shaking historical events, always trying to protect her loved ones, serve Rome, and counsel mercy. Not only does Livia become a sympathetic and inspiring protagonist, but, seen through Livia’s eyes, Caesar Augustus becomes a flesh and blood man, brilliant, ambitious, arrogant, and yet vulnerable. This book superbly mixes strongly developed, emotionally complex characters with well-researched accurate history. It humanizes historical figures that had, for me, just been names on a timeline. I can’t recommend it highly enough. I hope it won’t be long before Phyllis Smith’s next book appears.